Aesthetics, First Impressions and Perception: Aesthetics are your website makes, and first impressions are critical online. You have about 50 milliseconds to make this first impression before a visitor leaves. Compelling visuals, nice photography and a clean overall layout all help to keep a first time visitor engaged. Good aesthetics are the first step in shaping how visitors perceive your business. For example, a clean and modern aesthetic conveys that your business is modern and organized. A classic or timeless aesthetic can convey that your business has a solid foundation and that it’s here to stay. A gritty aesthetic can show that your company is tough and can tackle any job. Ultimately, you want your websites aesthetic to be a reflection of your business’s best qualities and values. Clean and logical navigation is very important in increasing usability. Usability is how quickly and easily a visitor can find information on your site and complete actions, such as converting on a call to action. A simple navigation with fewer options and a robust search function helps to create clear paths for a visitor to take. Think about the different types of visitors you want to turn into leads, usually referred to as top, middle and bottom of the funnel. Top of the funnel visitors know little or nothing about your services and are looking for educational resources. Middle of the funnel visitors have some knowledge about your services and are one step closer to becoming customers, usually looking to do research and compare your services to other companies. Bottom of the funnel visitors already know your company and the services it provides and typically are ready to buy and are looking for consultations or quotes. You should have a navigation option for each of them. Providing too many navigation options scatters users all over your site, sending them to resources that are irrelevant to them. Usability goes beyond just having a logical, clean navigation. It also means using consistent styling for elements such as links, headlines, calls to action, images, etc. Consistency is key, it’s a good way to help the visitor know what different elements on your site do. For example, choosing a color for your links and buttons and sticking to it across your website helps increase usability. It’s all about making it as easy as possible for your visitor to navigate and understand the content on your website. Having legible, clear and high contrast typography with a logical hierarchy of information will make it so that your readers can actually read that content. Or skim it if they are busy, which is often the case. Skim-ability is important, as your visitors are often looking for very specific information, and don’t have time to read everything. Making your headlines and subheads clearly differentiated from the body of your content helps increase skim-ability. Again, consistency is key. Sticking to one or two fonts and using them consistently helps increase usability and readability. Conversion paths are the cornerstone to getting leads from your website and they need to pull together all the aspects of good web design to be successful. A conversion path is the journey a user takes to ultimately convert into a lead. For each type of visitor (top, middle and bottom of the funnel), there should be a clear path. For example, consider a top of the funnel visitor to an industrial coatings website. They know they need to keep their equipment or structure free from rust, but they don’t know what products or services will best suit their needs. They do some Googling and discover your website. They start down a conversion path that begins at the homepage, this is where aesthetics make their first impression and influence the visitor’s perception of your business. Next, if the site is user-friendly and navigable, there should be a clear choice for them to explore rust prevention options in the navigation, on the homepage itself, or even via a search feature. The visitor lands on a services page, and should be able to scan the page quickly to find the services relevant to them. This where good use of typography comes into play, making it easy to find rust prevention options. The visitor is skimming through all the options and is discovering they don’t understand rust prevention enough to know the differences between all the options available. So, this is where there is an opportunity for a call to action to download an in depth guide. The design of the calls to action can hinder or increase the conversion rate. Using colors that stand out, buttons that are obviously clickable and visual cues that show the value of what they are getting all help increase the conversion rate. 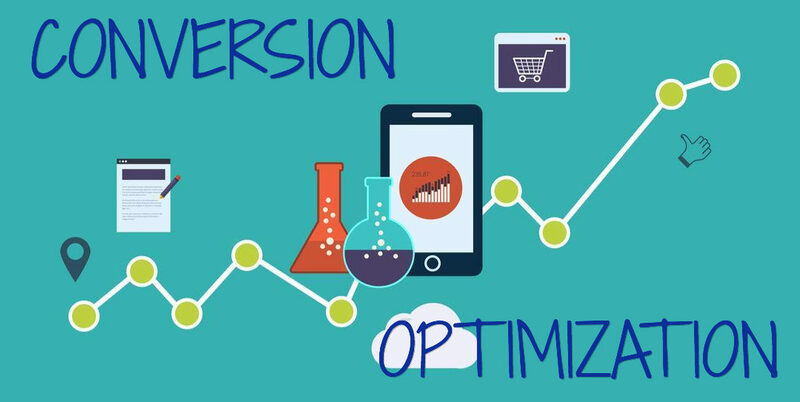 Speak to one of our qualified consultants at 714.919.9326 and see how Orange Web Group can help increase your conversion rate.